Anyone who has a testing lab needs to ensure their instruments are accurate and well calibrated. 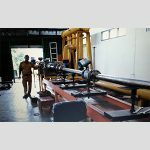 Be it electrical testing equipment such as centrifuges and sterilisers or scales and balances, the technicians at Inako pratama Indonesia can help ensure your tools and your facilities are performing in peak condition. Our technicians are fully trained and our facilities are state of the art. Certification is provided for the calibration work we do as per specific Australian National Standards requirements. 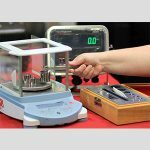 We can certify your scales and laboratory balances for trade use as per National Measurement Institute requirements for class two, three and four to the required uncertainty of measurement of +/-0.006g for a 2kg reference standard. Inako Persada wide-ranging experience in the calibration industry and our commitment to the idea that contented customers are the way forward has guaranteed the sustained development and success of our business. 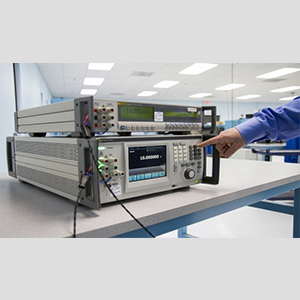 Our experience and specialisation in calibration means that we can service and repair all types of calibration and test and measurement instruments. This specialty and experience is applied to every calibration that we conduct. Inako Persada stringent observance to our accreditations means that you will receive full compliance to the standards that apply. Anyone who has a testing lab needs to ensure their instruments are accurate and well calibrated. Be it electrical testing equipment such as centrifuges and sterilisers or scales and balances, the technicians at Inako Persada can help ensure your tools and your facilities are performing in peak condition.